Schloss Goldegg. 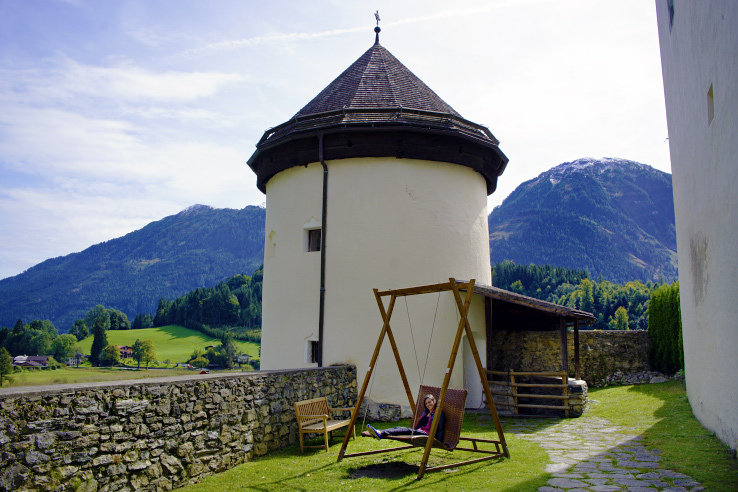 A small but very historic castle in the tiny Austrian oasis of Goldegg. 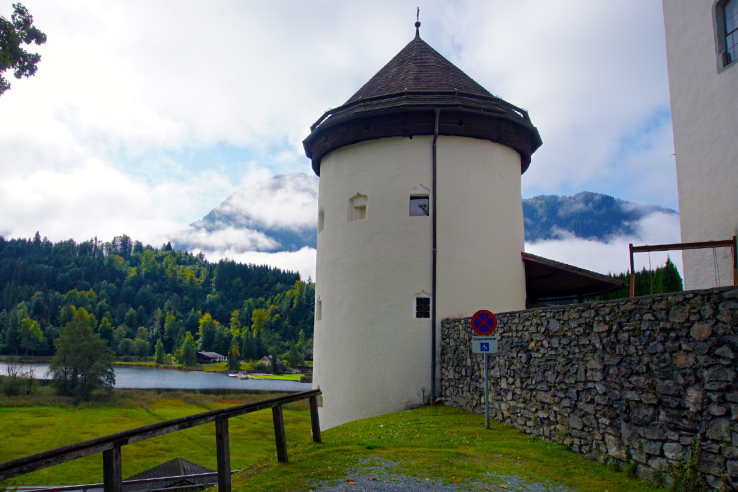 We stumbled upon this castle one our drive back from Lamprechtshöhle (Lamprecht’s Cave) in Austria. Whenever we see signs for ‘Schloss’, we immediately know it is worth a stop. 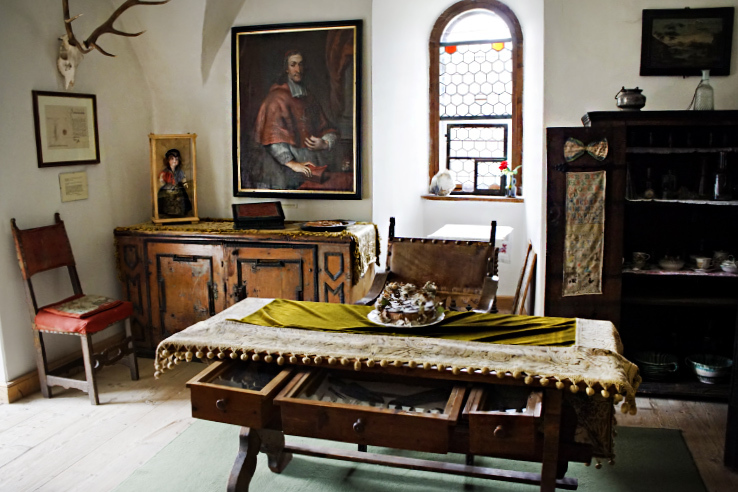 Since schloss means palace or castle in German, there’s bound to be something to discover. So we adjusted our GPS, followed the signs and ended up in a little haven. With a tiny lake an adorable Austrian village, and yes, a castle. We had no choice but to stop in and explore. Now this was around 5pm, so of course in Austria this is when most things close. Maria, the very nice Austrian lady in a traditional dirndl at the cash desk, explained that it was time to close. BUT, we could come back next week instead. We took information for our return, said our goodbyes and hopped back in the car – eager for next week’s adventure. 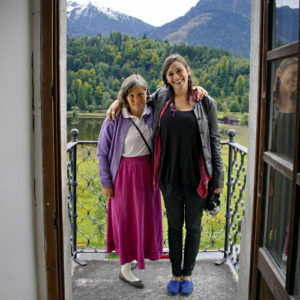 Three days later, as promised, we returned to Schloss Goldegg and to our new friend Maria. For tours of the castle, especially in English, it is a good idea to call in advance (which we’ve learned the hard way since living here!) After our tour was all set and arranged, we awaited our visit. On the day of our castle tour, we arrived only to have the same nice lady, Maria, waiting for us at the front. Not only was she the person in charge of the museum, but her family is one who has lived in Goldegg for generations. She knew everything about the castle. Every bit of history, every amazing story. It was the most informative tour, from right off the bat. Touring the Castle with Maria to guide us. We learned that the oldest part of the castle is from the 14th century and is still completely intact – exactly as it looked since the 14th century. And with that exciting introduction, Maria took us up to see it. The room was incredible. 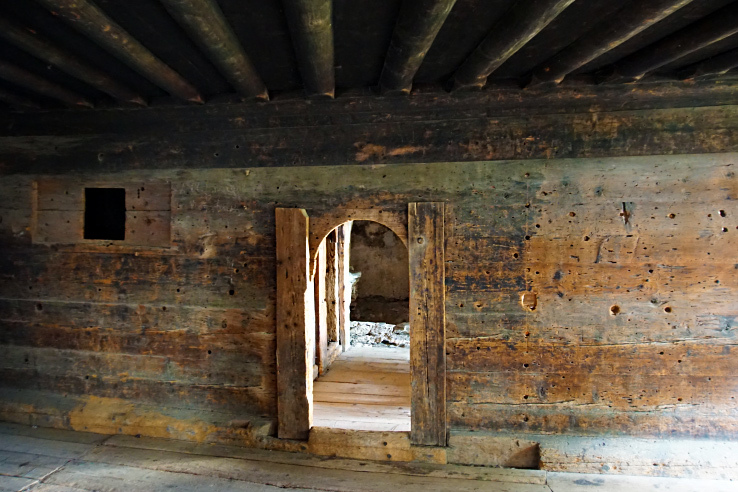 All the wood – the walls, the ceiling and the floor – all are original from 700 years ago. To walk on 700-year old wood, touch 700-year old wood. It’s simply an incredible feeling. It’s like the wood tells a story, just from being in its presence. 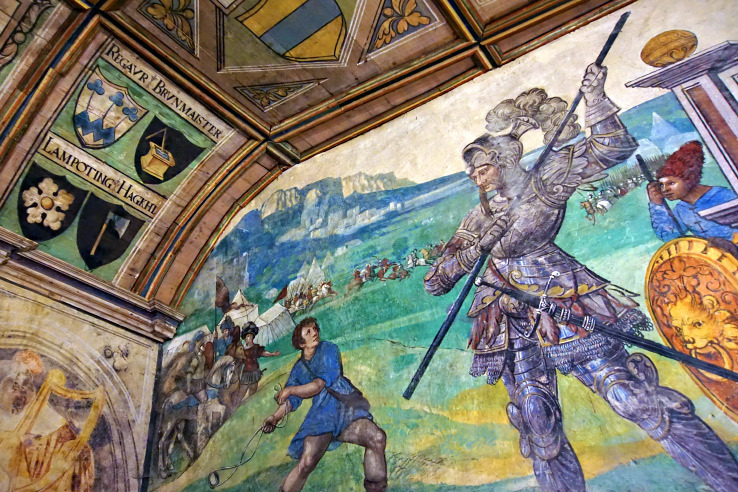 Then we were taken to the main hall, where preserved hand-painted murals surrounded us in every direction. These panels are extremely important to Austria and its history. In fact, there are few so perfectly preserved as them the world. We walked around this hall in awe of what we were seeing. So much detail and so much thought in every single inch of this room. All completely hand painted and authentic. To top it off, there were carvings scratched in the wall from the 1500s! 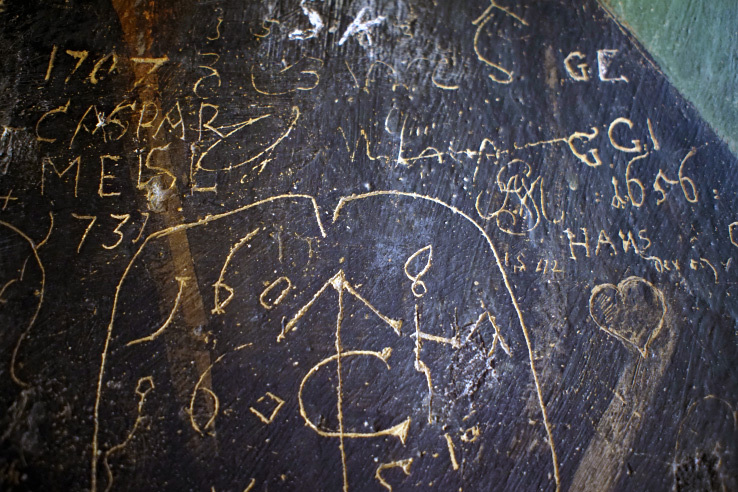 The oldest graffiti we’ve ever witnessed. Our tour guide let us wander this room for about a half hour, taking pictures of all the creativity and history here. 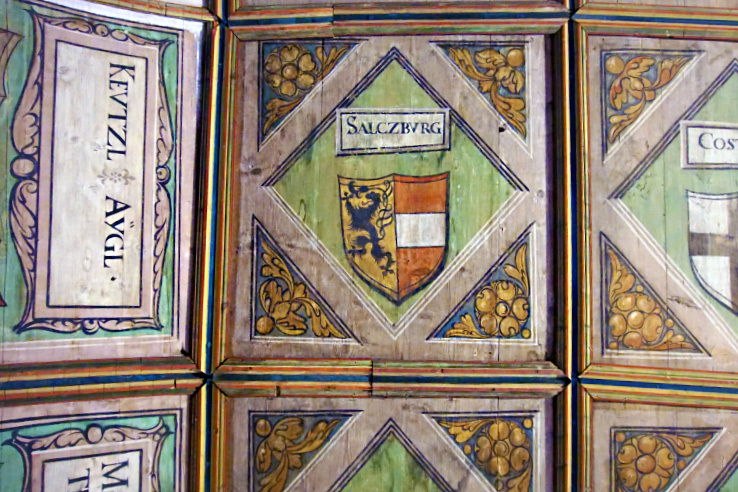 Every inch of the ceiling was painted with coats of arms – all cities in the area. 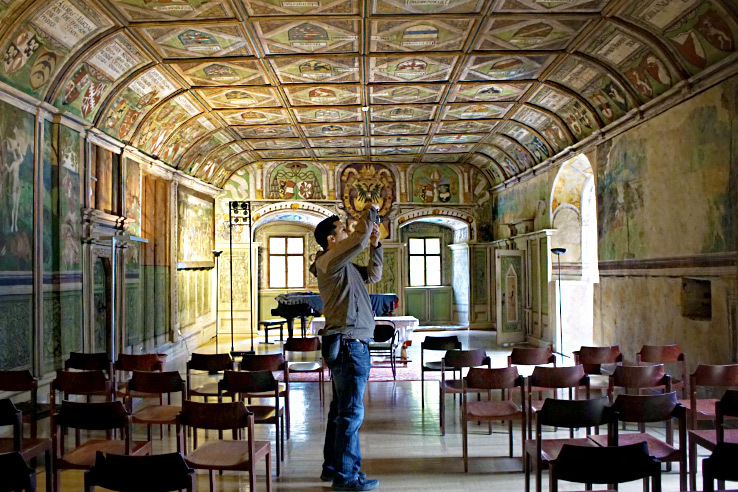 The best part is that few of these panels and paintings were even restored – they are all original! 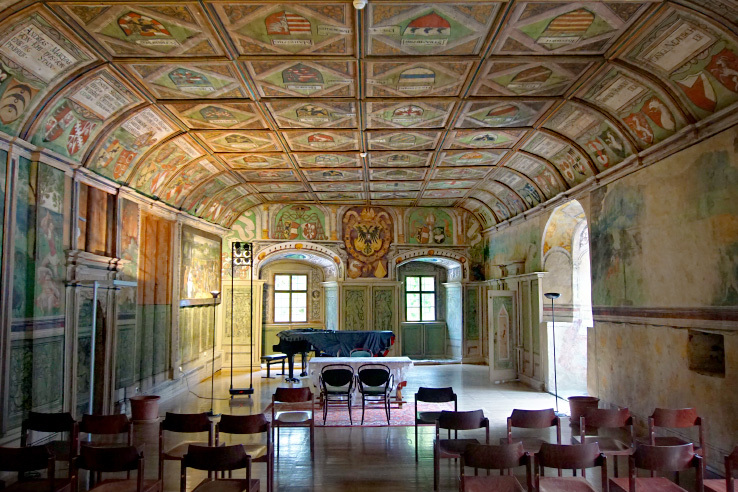 Schloss Goldegg also hosts events and concerts in this room throughout the year. You can even get married in here! It’s truly a wonder and part of what makes this castle so famous and important in Europe. 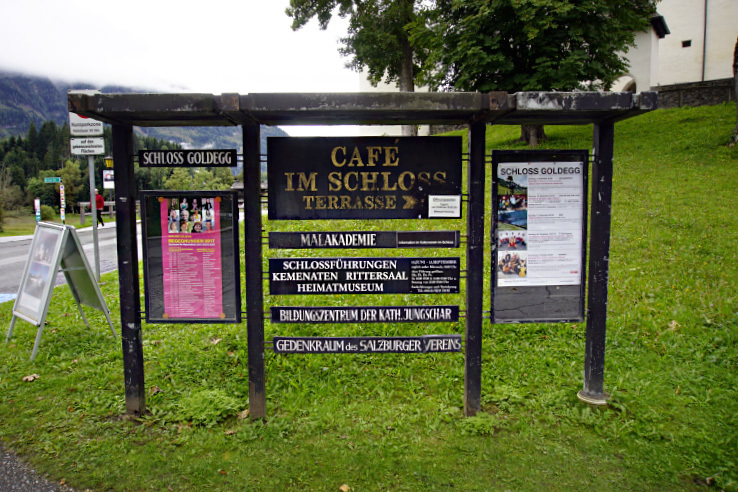 The rest of the tour consisted of a museum filled with history from the Pongau area. Our tour guide contributed to many of the historic objects in the museum, which was really interesting. 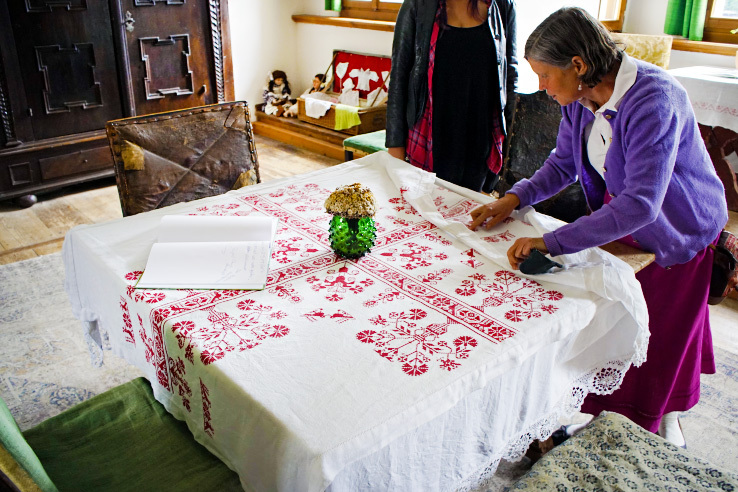 She told us about each item in depth – its use and what century each is from. From farm equipment to furniture. 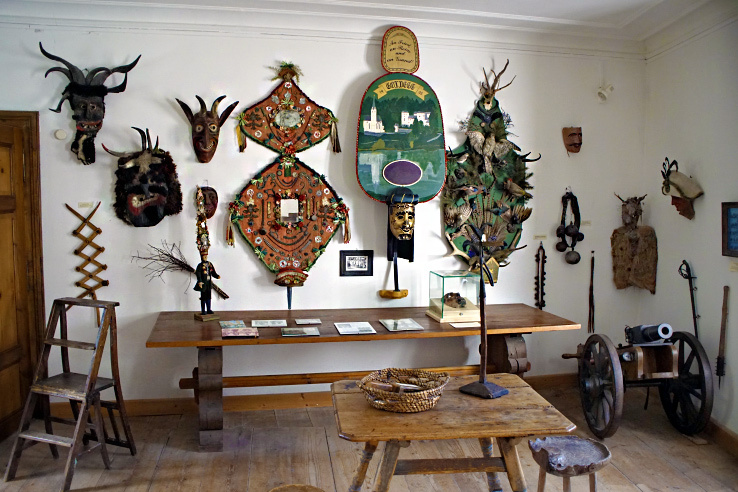 Traditional masks and clothes. We even got to stand out on the balcony overlooking the lake and the area. It’s amazing how towns surrounding Goldegg can be so modern, but Goldegg has maintained its history. Maria also explained that the lake used to be a lot bigger, but throughout the years, it has shrunk to the current size. That’s the only change of Goldegg’s landscape. Rolling hills, mountains, lakes. Just the typical surroundings in Austria that make it so special. 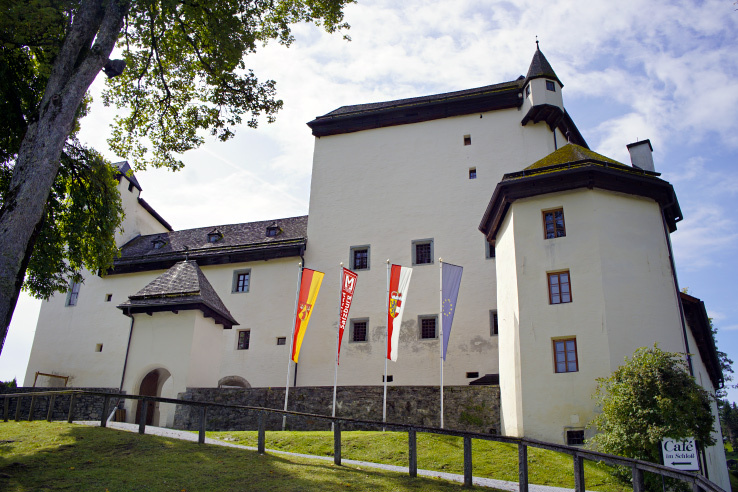 Visiting the castle museum can only occur at certain times throughout the year, and arranging a tour in advance is highly recommended, especially if you’d like one in English. With all the incredible history in this castle (and the lack of English translations in the museum), it will allow you to get the most from your visit. 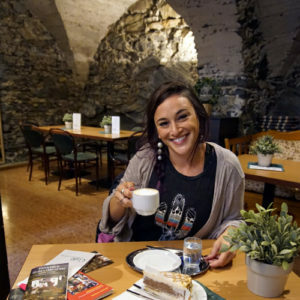 Make sure you also leave time for a cappuccino and ‘kuchen’ (cake) in the café of the castle. The pastry chef here is outstanding, and if you’ve ever experienced Austrian pastries before, you know you’re in for something special. Not only are the treats delicious, the environment is something to experience. *With tours of Schloss Goldegg daily at 2pm, except Wednesdays. As I said, we highly recommend calling the staff when planning your visit. Aside from the hours listed, a separate tour can usually be arranged. Our wonderful tour guide, Maria, came in just to tour us around and spoke perfect English. 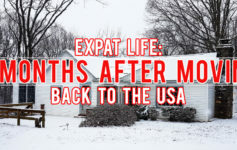 With her incredible knowledge and vast family history in Goldegg, she provided endless amounts of information that we would’ve never found online – especially in English. For our completely private tour, that lasted almost 3 hours (since we loved talking to her so much), we only paid 15 euros for both of us. It was beyond worth the cost. 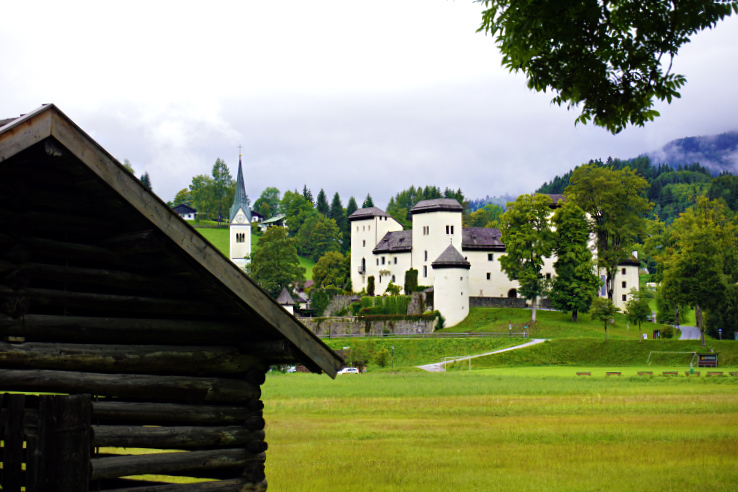 Just an hours’ drive from Salzburg will take you to Schloss Goldegg. 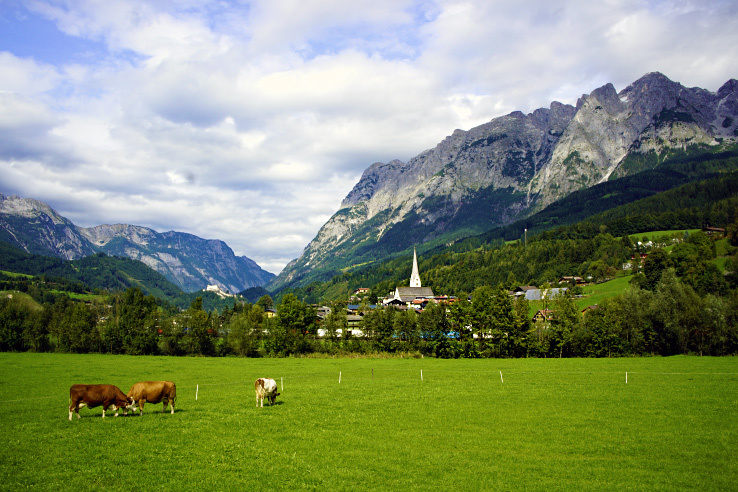 We always highly recommend that visitors to Salzburg spend a day renting a car, exploring the Austrian countryside. And Schloss Goldegg provides the perfect opportunity to explore and witness the magic of the scenery that exists here. All with an easy and scenic drive. If you are not driving, it simply takes an 1 hr and 45 min train and bus ride from Salzburg HBF. 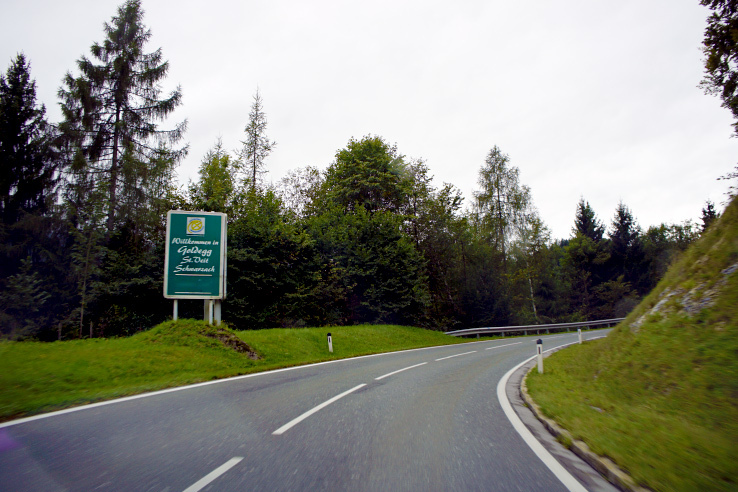 1) From Salzburg, hop on the regional train – S3 towards Schwarzach-St.Veit Bahnhof. 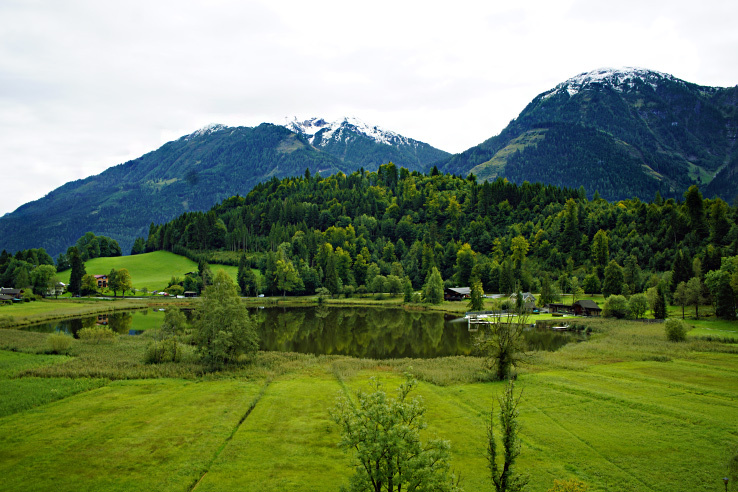 2) From there, you take the 580 bus for 10 minutes (6 stops) to Goldegg im Pongau Schloss Goldegg. After over 2 years of living in Salzburg, we are constantly surprised at what we have yet to discover. Even simply driving down the street, an hour away, can spark your imagination and leave you wanting more. And that is exactly what happened when we found Schloss Goldegg. We knew this place was special, and our instincts proved correct. There is no better feeling than leaving a place with new knowledge, a new appreciation for the area’s culture and a new friend. We found that in Schloss Goldegg and in our tour guide. An experience and memory that we will not forget. Check out our SnapChat Video below! Also Subscribe to our YouTube Channel HERE!